Strawberry Hotdogs…Yes, They Are Amazing! So here’s a quick yet fabulous idea for “gourmet” hotdogs, or at least hotdogs the kids and adults alike are guaranteed to devour like state fair eating contest champs! Strawberry Hotdogs! Yes, it sounds nasty when it rolls off the tongue, but one bite and I guarantee your entire family will be hooked. The mix of sweet and savory makes this easy dish an instant success! All beef hotdog weiners, split top buns (preferred), strawberry jam, Swiss cheese, butter, and thick sliced maple bacon (optional, but also amazing)! In these few simple steps your crew will be licking the jam from their plates and asking for seconds or maybe thirds! Our oldest daughter has been known to eat as many as five! First, fire up the grill and get those weiners cooking. 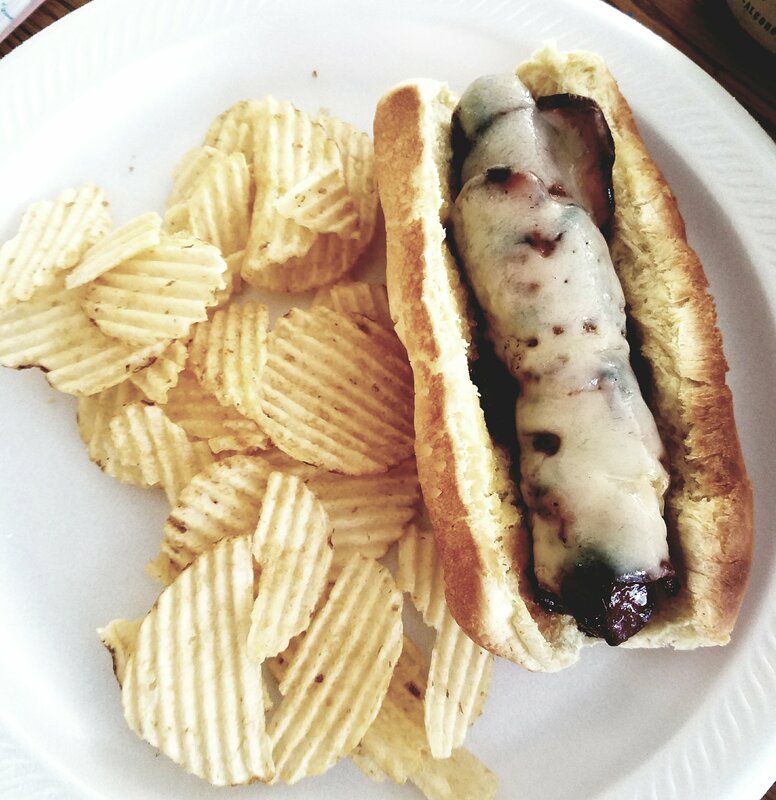 We experimented today with wrapping the beef weiners in thick sliced maple bacon, needless to say, it was a success! Next, while the meat is grilling, lightly butter the outside of the split top buns and either toast them in the oven or add them to the grill until the outside of the bun is golden! Once toasted, add strawberry jam to the inside of the bun; it doesn’t require alot of jam otherwise they will become drippy and difficult to eat! Once the hotdogs are done on the grill add them to the toasted and jammed bun and top with Swiss cheese! The only thing left to do now is enjoy!